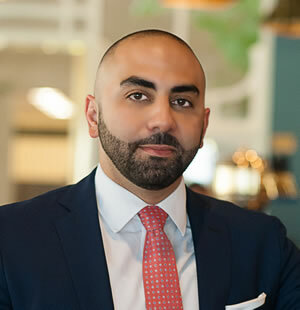 Attorney Nayef A. Mubarak is a lifelong resident of Central Florida. He attended Dr. Phillips High School before going to earn his Bachelors from University of Central Florida. Prior to enrolling in law school, Mr. Mubarak spent time working as a mutual fund accountant with the Bank of New York. Attorney Mubarak attended Barry University School of Law. Mr. Mubarak served on the law school's Moot Court Honors Board and participated in the Immigration Clinic, advocating for indigent clients in USCIS and Immigration Court proceedings. While at Barry, Nayef Mubarak developed an interest in international law, spending two summers studying abroad. This opportunity enriched Attorney Nayef Mubarak's experience in the areas of international human rights and criminal procedure. Attorney Mubarak was admitted to the Florida Bar in 2010. In August of 2016, Attorney Nayef Mubarak founded Mubarak Law. As the son of immigrants, Attorney Mubarak understands the importance of proper representation and the American dream. It was through his family’s experiences that he first decided to dedicate his life to assisting others. In addition to immigration cases, Mubarak Law handles business matters and personal injury. Attorney Mubarak’s practice has naturally progressed into the realm of international business and corporate law. Mr. Mubarak represents many clients with businesses throughout the world, often consulting companies on acquisitions, company formations, business plans, treaty compliance, and the structuring of investment models. Oftentimes, Mr. Mubarak’s immigration and business law skills are needed for his unique clientele. His background in business and finance have provided him with the necessary skill set.